We are lucky to have some great contributors in the MuleSoft community. And we’d like to highlight the things they do to make our community so fantastic. 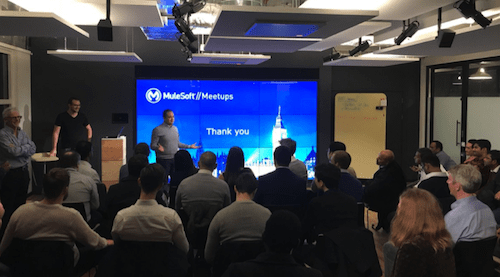 From the forums to in-person events and video tutorials, we see great community contributions from MuleSoft Developers willing to share their knowledge with others. 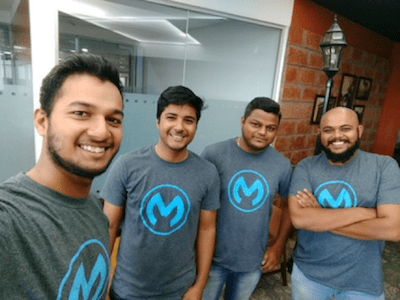 Today, we want to recognize the great work of MuleSoft Developers in January 2018 and share it with you. We’ll be recognizing the community members every month, so we are looking for community-nominated features! If you see great contributors who should be featured in our next roundup – whether they are writing blog posts, speaking at a Meetup, or simply answering questions on the forums – tweet about them to @MuleDev. Let’s start by giving a special shout out to Manik Magar, a community member from Pennsylvania, who has been very active this month on multiple platforms. 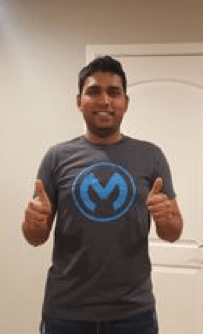 Manik never hesitates to step up to help developers and to share great MuleSoft content on Twitter. And since Manik always wants to make the extra mile for the Community, he recently held an online Meetup to share his knowledge on how to test database flows with confidence using MUnit, and explore how Docker and TestContainers can help achieve better and production-closest testing. You can see the recording here. Lastly, Manik also greatly helps other developers on the forums, with regular and high-quality contributions. Thank you, Manik! Have you seen Jason’s amazing video tutorials? So far he has created three of them: one about using Mule transactions to rollback in the case of an error, another one about how to use Mule’s DataWeave map operator, and another about creating global functions in Mule. Check the videos out and give him a thumbs up! You should also subscribe to his Youtube channel to receive a notification when he publishes new videos. 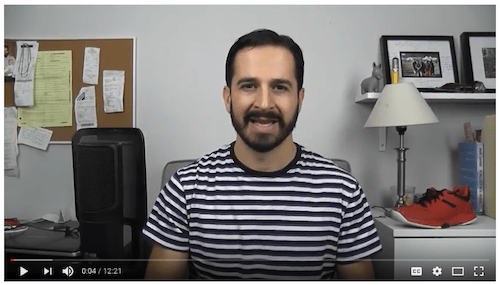 On top of creating these videos, Jason also helps several developers with their questions on Stackoverflow. We came across Ryan’s answers in the forum and were impressed by the quality of his input, and how much he’s helping other developers. Ryan is based out of Pasig City, near Manila in the Philippines, where he works as a Senior Integration Consultant at WhiteSky Labs. On behalf of our team and the numerous MuleSoft users he has helped, thank you! 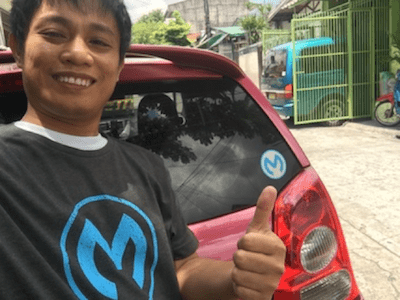 Have you read Kian Ting’s blog post on MuleSoft.com? He covered how to automate API monitoring using Anypoint Design Center’s flow designer. On top of writing great blogs, Kian Ting also runs the Meetup group in his hometown of Christchurch, NZ, where he meets with local users regularly! He has already organized four Meetups in the past six months. Special shout out to Rajesh Rajmangal and Thomas Peach from Pace Integration, and Simon Bristow from Deloitte UK, who hosted the largest Meetup ever in London, with over 80 attendees! Take a look at more details about our past Meetups — and see what’s coming up — in this blog post. In this section, we’ll feature exceptional MuleSoft practitioners who have passed ALL of the MuleSoft certifications available. You read it right: the developers we’ll feature here passed all five exams and have been recognized as MuleSoft Integration Professionals. We’ll start with Ashish Goyal, Senior Integration Engineer at Anaplan. Ashish passed the Integration professional exam back in November. Ashish loves sharing his knowledge! 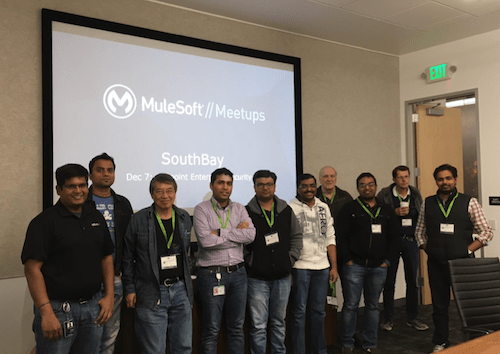 He’s running the South Bay MuleSoft Meetup group with Chari Gunasekaran from Splunk, and both had their first event in December. Reynold Lariza, from Manila, is a Senior Integration Consultant at WhiteSky Labs. He definitely has the best ride in town! There’s a Mule band in Bangalore! Vibhanshu, Rajhans, Ganesh, and Kiran from Mindtree gathered for a team picture. We found the youngest Muleys of all! 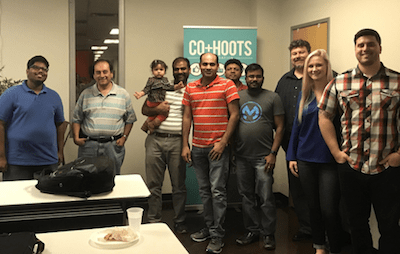 Our local Meetup Leader in Phoenix, AZ, brought his daughter to her first MuleSoft Meetup. This is it for this month! We’d love to hear feedback about this new series, so please leave us a comment. Also, please share with us any great content you think should be featured by tweeting @MuleDev. Great Article! Its nice to know that the community is proactive in helping each other. 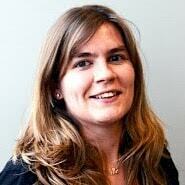 Impressive article about the contributors of the Mulesoft community. Thanks for sharing such successful stories. Please keep posting your updated articles, which are quite interesting. Hey, thanks for the article. It’s good to see such article after a long time.